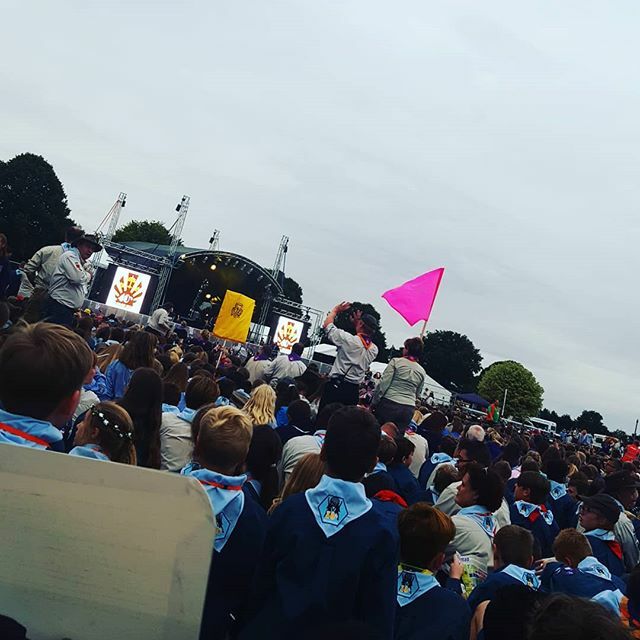 The Welcome Ceremony kicked the jamboree off in style, here’s our favourite moments from social media! @kerryleanneatkins on Instagram and @EDSFAT on Twitter captured the mood during the build up showing the gathering crowds. …and @official_tom_ on Instagram took a selfie with some friends in this awesome NORJAM frame. Our fab opening band, The Anyones warmed the crowd up ready for the main event. Nor Nor Nor, jam jam jam! The JAM FM team covered the ceremony live on 87.9FM from their on-site studio. The parade of flags and banners showed our contingent’s awesome designs off at their best. Day 1 ended with our own DJ Dave keeping the party going into the night!